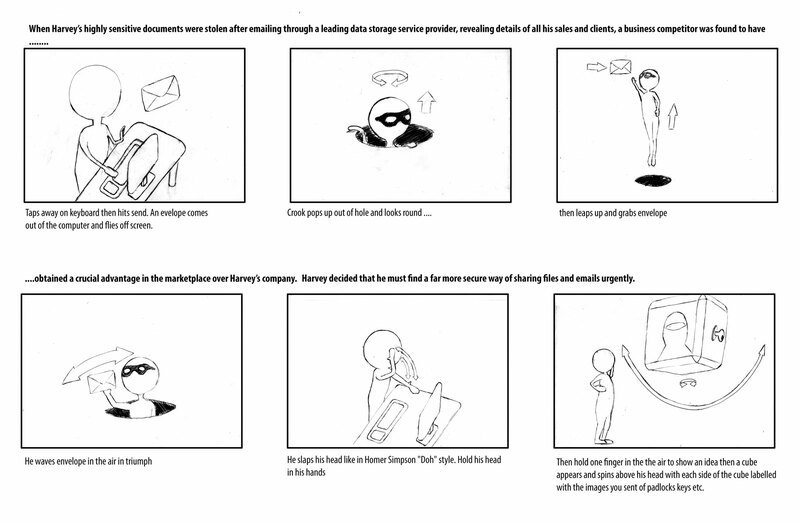 Working with the Encryption Box team we put together a script and storyboard to define the working of their forthcoming animated video production which when shown to the judges of the Digital Media Awards they would go on to win their section. 1st a script was written and agreed so that the client was happy. Click here to view the script . Once the script and storyboard were approved the actual animation production was produced under pressure within a week. When the script was finalized we made an animation storyboard to fully define the series of events to be depicted. A section of which is above.